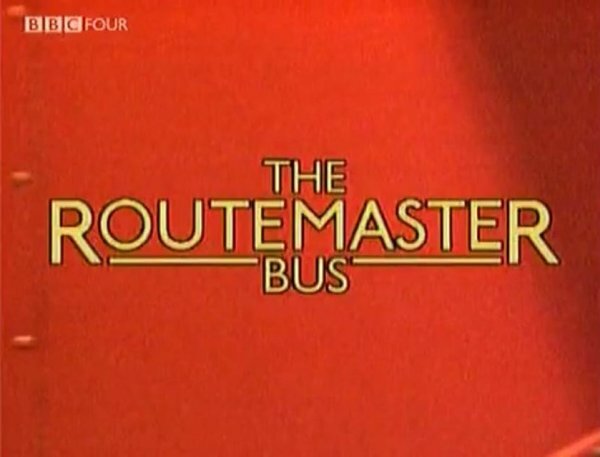 Great documentary about the AEC Routemaster. It is a documentary lasting about 30 minutes celebrating the AEC Routemaster, showing it's development, operation in London, and replacement by front-entrance buses. It also shows public opinions on the Routemaster, and some excellent footage from the period. I think it's a great documentary with excellent pics (which I personally think All pics should stay) ...but according to a recent note from antp to me "we do Not add *(one)-star vehicles any more for documentaries"
For the pictures of Routemaster and Bedford SB Plaxton in US, have just read a short aticle about a 12,000 mile tour made by 3 AEC Regents in LT livery in 1952 for a "Come To Britain" campaign organised by the British Travel & Holidays Association. Started in NY, went to SF and then Canada, "offering rides and special souvenir tickets to thousands of fascinated Americans/Canadians". All 3 came back to UK and returned to normal service afterwards, each keeping a GB plate on the back throughout subsequent service. One survives - RT2775 - in preservation, but other 2 scrapped with one going to service in Sri Lanka where it eventually died. The photos in this documentary look as if they're part of a repeat exercise - perhaps early 60s from the US cars in shot - any details in the film? So RML898 was a well travelled adventurer - does it deserve its own page for special significance? The Pathe website is a superb resource - I've used it several times for 50s/60s race and rally footage - deserves to be better known/used. Probably and as its also the lengthened Routemaster an RML I would say yes (the main listing is a plain Routemaster RM). RML 898 is still alive - brief history to present at http://commons.wikimedia.org/wiki/Category:RML898_(Routemaster_bus) . stronghold wrote I think it's a great documentary with excellent pics (which I personally think All pics should stay) ...but according to a recent note from antp to me "we do Not add *(one)-star vehicles any more for documentaries"
No, what is forbidden is random traffic from documentaries. There may be 1-star vehicles listed when they are part of the documentary (i.e. part of the subject, but not "used") or which may be worth listing due to their rarity for example.